You've probably heard the news by now: the Online Film Critics Society (of which I am a member) has just named Mad Max: Fury Road the best film of 2015--and I couldn't be more psyched. It is definitely an inspired choice, but a well deserved one that will hopefully push awards voters in a more open-minded direction. 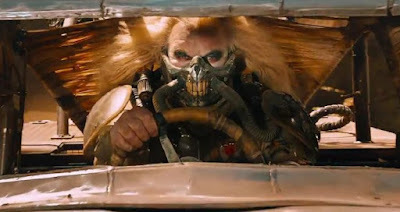 And if that news wasn't rad enough, it was announced earlier today that the Critics Choice Awards also nominated the George Miller-directed film in 13 categories. Okay, now this award season is getting interesting! (side note: Goodnight Mommy was also nominated here for best foreign language film, which totally rules). I have a few thoughts about all this Carol love, but...I'll hold on to them until I post my review in the next few days.